CarGurus has 872 nationwide LeSabre listings and the tools to find you a great deal. 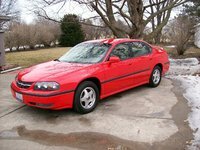 An affordable Cadillac is how some owners describe the 2001 Buick LeSabre, due to its roomy cabin and trunk, smooth and quiet ride, and long list of interior creature comforts. 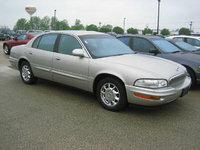 For 2001, the LeSabre is little changed, after a redesign in 2000. It does get new dual-stage deploying airbags, furthering improving upon its 5-star crash test ratings, thanks to dual front and side airbags and improved head restraints. OnStar is now standard in the high-end Limited trim and optional in the base Custom. The Custom also now gets a power driver's seat. The front-wheel drive 2001 LeSabre is a full-size sedan one step below the Park Avenue in terms of luxury. Available in Custom and Limited styles, it is powered by a smooth and powerful 205-hp, 3.8-liter V6 engine and 4-speed automatic. ABS brakes, an alarm system, automatic headlights, daytime running lights, cruise control, and full power features are standard on the Custom, while the Limited offers auto-dimming rearview mirror, power front seats, wood trim, dual-zone climate control, and power outlets for cell phones and laptops. The cabin seats six, though five would be most comfortable. The front bench seat can be replaced with bucket seats in the Limited. The large trunk offers up to 18 cubic feet of cargo space, definitely big enough for a couple golf bags. 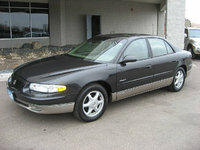 Aimed at an older, more sophisticated driver, the 2001 LeSabre glides comfortably on both city and highway roads. Drivers like the fuel economy, V6 power, and roomy front seat, though they say the backseat is surprisingly short on legroom. On the downside, they do report rattling and wind noise and feel the LeSabre should come with better tires. Buick has not yet fixed the problem with the power windows, and this remains the number one repair for 2001 LeSabre owners. 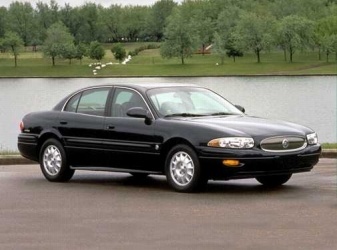 What's your take on the 2001 Buick LeSabre? Have you driven a 2001 Buick LeSabre? Will grand am rear suspension fit a 01 Buick lesabre electric air rear suspension system? 2001 Buick LeSabre Won't Start.